The first nutrition course I ever took in college changed my life. I was absolutely fascinated to learn what vitamins and minerals were and how important they are for good health. It was also about that time I finally understood what Hippocrates meant when he said, “let food be thy medicine and medicine be thy food”. Today, that saying is even more important as nutrition science has come a long way since I took that first nutrition course. Just think about inflammation, your body’s natural protective response to illness or injury. In fact, a little inflammation under normal circumstances can be a good thing. When you cut yourself, you want your immune system to respond quickly by sending white blood cells to your wound to fight off infection. But a low-grade persistent state of chronic inflammation is not a good thing. In this circumstance, white blood cells inappropriately move into tissues and cause destruction. In fact, chronic inflammation has been linked to a whole host of health conditions from type 2 diabetes and arthritis to heart disease, obesity, and Alzheimer’s disease. Fish and walnuts. Salmon and tuna are great sources of inflammation-fighting omega-3 fatty acids, as are walnuts. These foods help offset the pro-inflammatory effects of omega-6 fatty acids, which are pervasive in our diet. Omega-6 fats are found in eggs, corn, soy, and safflower oils. Olive oil. Studies suggest consuming a Mediterranean-style diet—a diet high in plant foods and olive oil—helps decrease joint tenderness in people with rheumatoid arthritis. Red wine and dark chocolate. Resveratrol, a phytonutrient found in red wine, has been shown to inhibit inflammation, while the consumption of dark chocolate, something I do almost daily, has been linked to lower levels of C-reactive protein (CRP), a biomarker of inflammation in the body. Turmeric. Spice up your life. Turmeric, also known as curry, is a traditional spice of Indian cuisine. In a recent pilot study, supplemental turmeric helped reduce joint tenderness and swelling in people suffering from rheumatoid arthritis. Tart cherries. It’s cherry season and according to the latest research, tart cherries may have the highest anti-inflammatory content of any food. 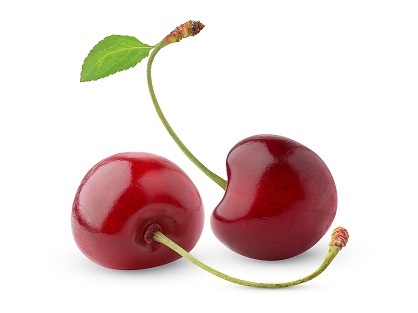 In a recent study, women with osteoarthritis who drank tart cherry juice twice a day for several weeks experienced a significant reduction in important markers of inflammation. Eating to fight inflammation could be one of the best things you do for yourself. For your next meal, how about some salmon curry and a glass of red wine, followed by some tart cherries covered in dark chocolate for dessert?